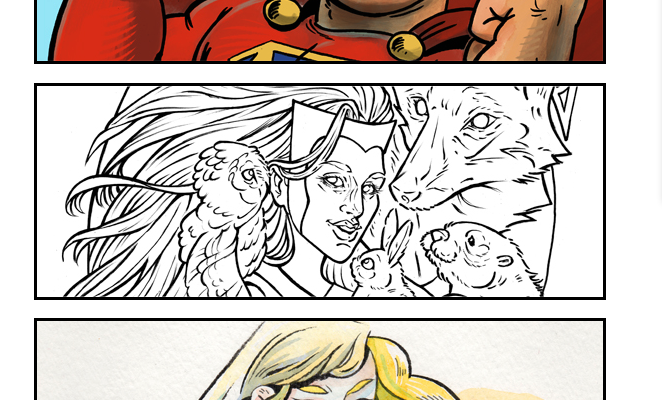 Participating for the 4th year in a row, this link showcases work for Chicago Loot Drop's 'Drawing Dreams' initiative. Artwork is inspired by children's ideal superhero self, donated by the artists, and raffled off to bring in donations for Comer Children's hospital as well as allow the kids to attend C2E2 and meet the artists! Chuck Load Of Comics: LIVE from C2E2 2018! Interview with charismatic and hilarious Chuck of local Chicago web show, Chuck Load of Comics. We talk about coffee paintings, coloring books, and the epic " F*ing Forty " collaborative memoir being put together by over 100 Comic Artists right here in Chicago. The best interview I have ever been in or will ever be in, hands down. Five engaging questions on inspiration and new projects in the works. Thank you Isabelle for the opportunity! 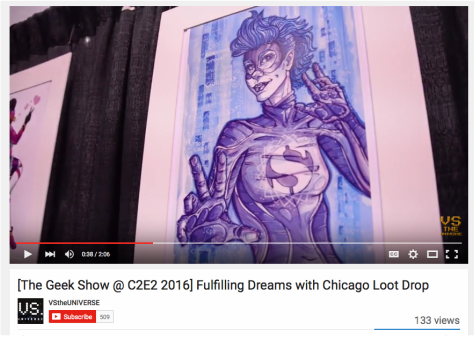 Feature clip showcasing work for Chicago Loot Drop's Drawing Dreams initiative, 2016. Artwork is inspired by children's ideal superhero self, donated by the artists, and raffled off to bring in donations for Comer Children's hospital as well as allow the kids to attend C2E2 and meet the artists! 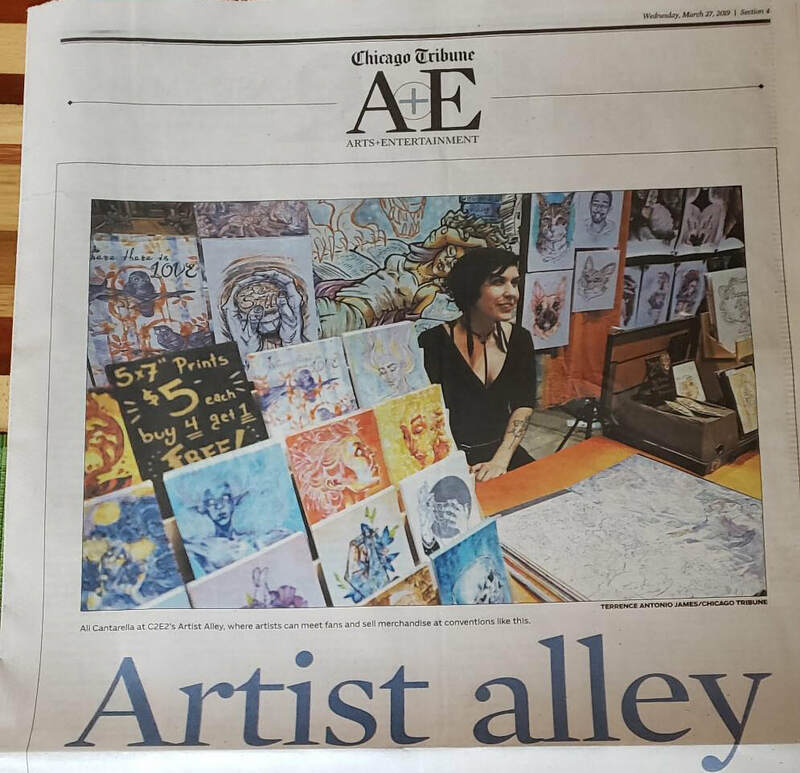 A playful, boozey, guest-driven show, where co-hosts Galo and Kenny shed a new light on The Hasty Pastry's various characters, talk Ali's many Chicagoland inspirations, and even take a look through her sketchbook, where all the creative magic happens! A relaxed podcast chatting with co-hosts Anthony and Rebecca Rothschild about current and past comic inspirations, reminiscing about Panera, and retelling embarrassing childhood caveats. in the greater Midwest area. Feature write-up on Polygon.com for work with local charity Chicago Loot Drop and Comer Children's Hospital, for donated artwork inspired by children's ideal superheroes! 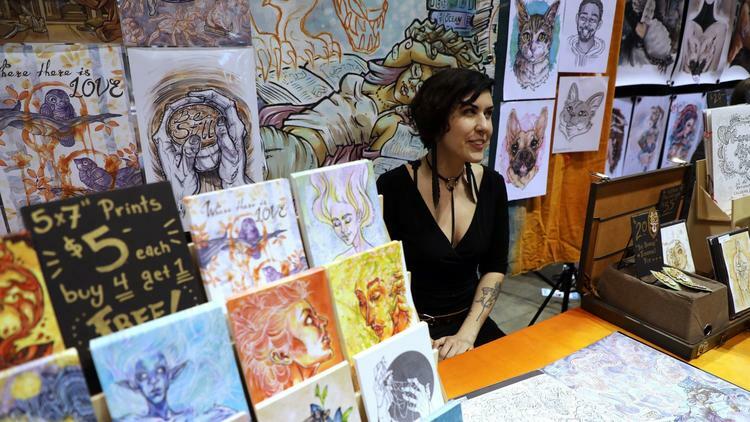 Intensive interview with Chicago geek-girl-group, Sugar Gamers, about being an independent comic artist, a female in the industry, and sources of inspiration and frustration along the way! 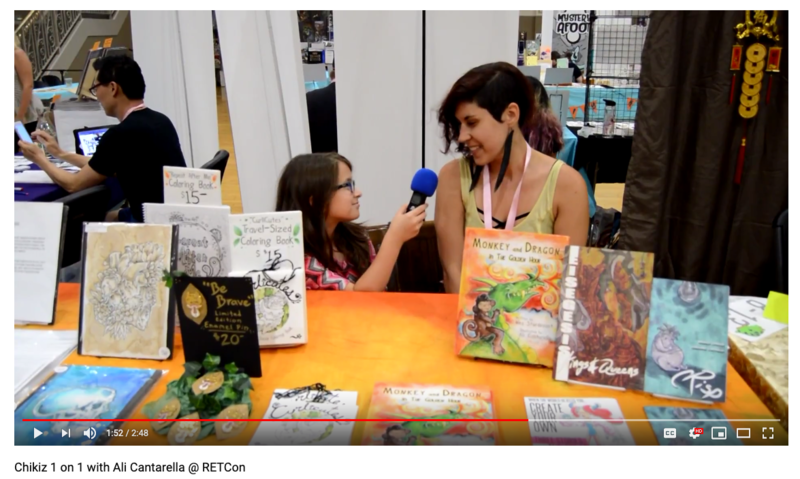 A short interview with DRG-TV, centered around stylistic inspiration, comic book illustration, and how to take your life experiences and craft them into art!